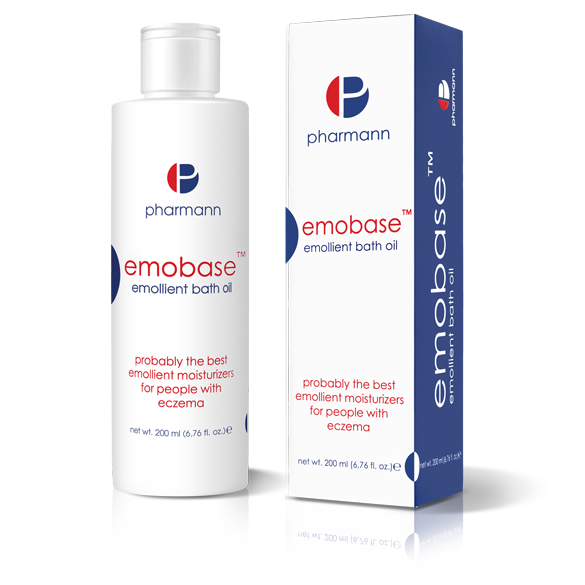 Emobase™ emollient lotion is a modern emollient dedicated for everyday care of dry, very dry, and sensitive skin. It is also recommended in dermatological prophylaxis and as an additional protection during periods of remission of atopic dermatitis (AD). 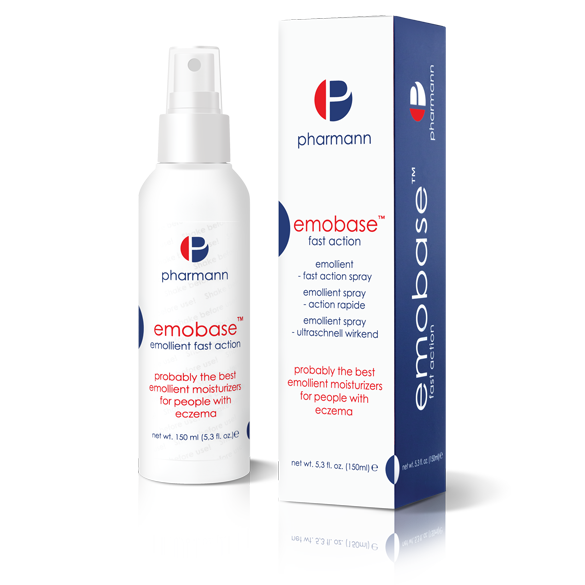 Thanks to a specially developed formula, Emobase™ emollient lotion is absorbed very quickly, leaves no feeling of greasiness and can be used all over the body, including the face. 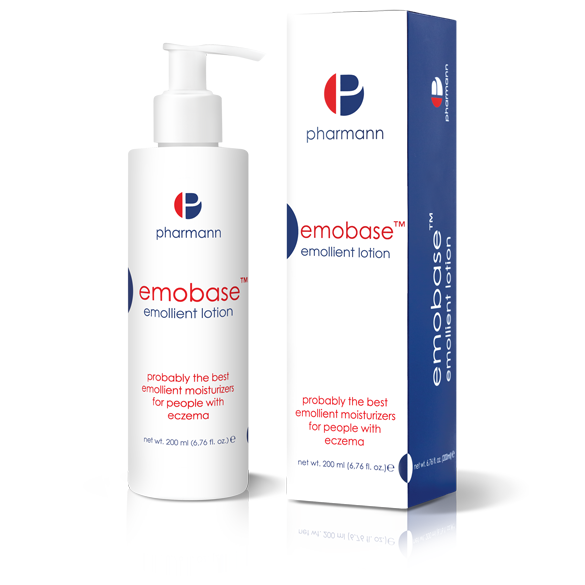 Emobase™ emollient lotion effectively oils and moisturizes, rebuilds the lipid coat of the skin and reduces transepidermal water loss through the epidermis. As a result, the skin becomes firm, all the irritation is toned down and itching is effectively alleviated. D-panthenol (provitamin B5) – provides long-term moisturization, gives the skin a softness and smoothness. Has a protective effect. Soothes irritations and stimulates the regeneration of cells. Allantoin – the active ingredient of plant origin with keratolytic, moisturizing and irritation soothing properties. Supports the renewal of skin cells, acts as a barrier that protects the skin from excessive drying and affects the moisture retention in the skin, making the skin smooth and moisturized. Macadamia oil – has softening, oiling effects. Improves the elasticity of the skin and supports the production of collagen and elastin. Soothes and smooths out rough, excessively dried skin and provides the skin with essential unsaturated fatty acids (EFA) and phospholipids. Linum usitatissimum (Flaxseed Oil) – provides fatty acids of the groups Omega 3, 6, 9 and Vitamins A, E, F.
Omega 3, 6, 9 acids – unsaturated fatty acids (EFA), required for the synthesis of cell membranes. Their effect involves stimulating the growth of collagen fibers and reinforcement of the skin barrier by stimulating the growth of elastin fibers. 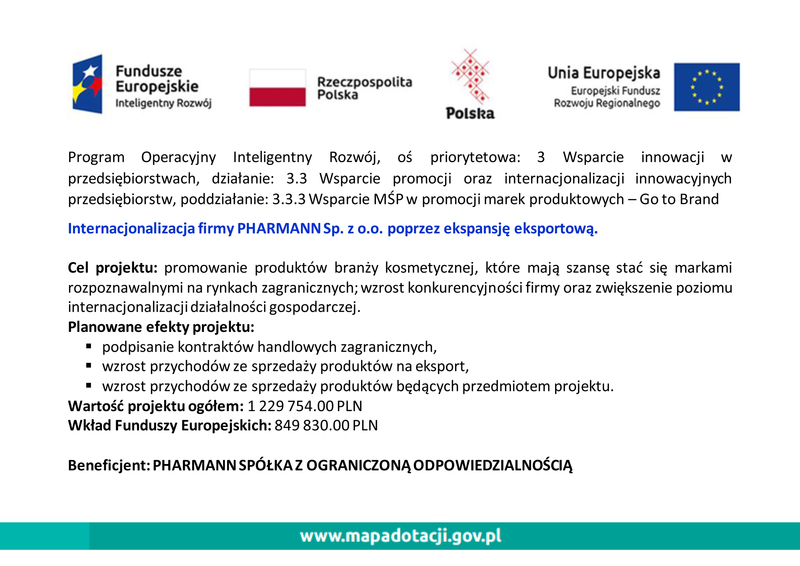 Vitamin A – penetrates to the skin, accelerating its renewal and differentiation of keratinocytes. Improves hydration of the skin by reinforcing the protective function of the epidermis and reducing water loss. Vitamin E (α-tocopherol) – has a strong antioxidant effect, makes the skin elastic, soft and properly moisturized. Vitamin F – has an excellent effect on the skin by regenerating it and preventing the aging process. Prevents the skin from drying and protects it against the harmful effect of atmospheric conditions (e.g. frost, wind). Shea Butter – possesses a moisturizing and oiling effect on the skin, which becomes smooth and soft. It is beneficial to dry and poorly moisturized, scaly, cracked, chapped and aging skin. It provides the skin with a delicate, healthy look. Reduces itching while oiling the skin. Reinforces the lipid coat of the skin and effectively protects it against the harmful effects of external factors, soothes skin irritations. Dermatological tested. Fragrance free. Hypoallergenic. Well tolerated by atopic skin. Apply a thin layer of the preparation onto clean skin (recommended use after every wash up/bath to bring relief to dry skin). The preparation spreads perfectly, leaving a protective film on the skin.